Brexit is a deadly serious issue. It threatens the two economies on this island, will undermine social cohesion, and directly attacks the Good Friday Agreement. It is within this context that the stupidity, insanity, absurdity and ludicrousness of Brexit and of the British government’s approach to Brexit emerges for all to see. Meanwhile the deadlines for agreement between Britain and the EU have been repeatedly broken amid ongoing confusion and uncertainty. An exchange of letters last week between the DUP leader Arlene Foster and the British Prime Minister Theresa May have given some insight into this and into the strained relationship between the two parties. In last week’s letter to the DUP May acknowledges that the “unique circumstances” of the North “could require specific alignment solutions in some scenarios” on regulations. Arlene Foster and her party interpreted this as a willingness by the British “to the idea of a border down the Irish Sea”. Foster added: “The Prime Minister’s letter raises alarm bells for those who value the integrity of our precious union and for those who want a proper Brexit for the whole of the UK.” The DUP accused May of breaking Tory commitments to the party. Our precious union? Whose precious union? A proper Brexit? The people of the North voted against Brexit. The DUP lost that one. So now they are gonna talk tough to the Brits for letting them down. Again. Should anyone be surprised by this turn of events? In June 2017 as the DUP and Conservatives were engaged in negotiations about a confidence and supply arrangement I warned that such dalliances always end in tears. It was a British Tory Prime Minister Ted Heath who scrapped the Unionist regime at Stormont in 1972. It was a British Tory Prime Minister Margaret Thatcher who signed the Anglo-Irish Agreement in 1985. It was a Tory Prime Minister John Major who agreed the Downing Street Declaration with the Irish government in 1993. And unionism should always remember the words of their great hero and leader Edward Carson who remarked in 1921; "What a fool I was. I was a puppet, so was Ulster, so was Ireland, in political game that was to get Tories into power". On Tuesday it was revealed that EU and the British government negotiators had reached an agreement on dealing with Britain’s border in Ireland. It would appear that the ‘backstop’, which is to prevent a hard border, will involve the North and Britain remaining in a ‘temporary customs arrangement.’ It isn’t clear what ‘temporary’ means nor what review mechanism has been agreed. But the text will apparently include specific provisions for the North should the ‘backstop’ fail to prevent a hard Brexit. Will the DUP support this plan? As I write no one knows. If I was a betting man I would say they will vote against it. But whatever awaits the DUP, or the British PM, we can be sure about one thing. Brexit will be disastrous for the North. 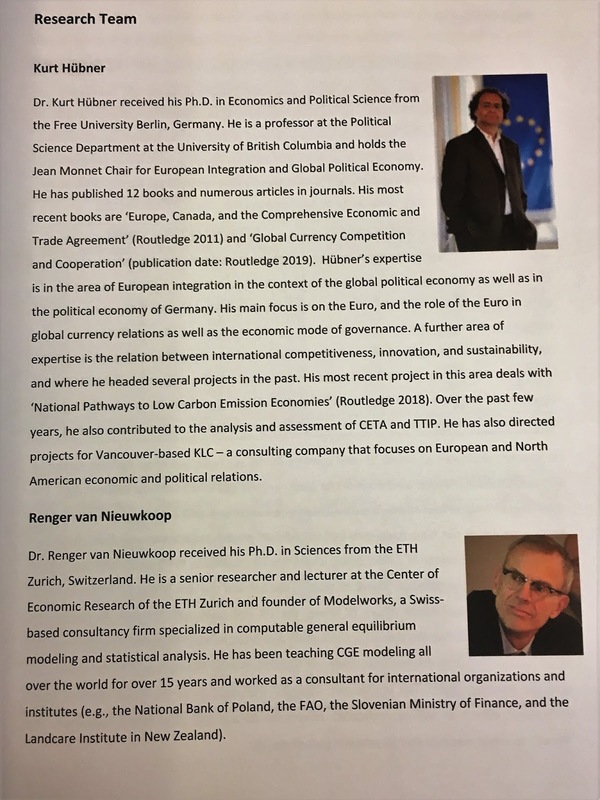 Last week in a timely report two academics with the Canadian Company KLC Consultants, Kurt Hubner and Renger Herman Van Nieuwkoop, produced a report looking at the economic impact of Brexit and of Irish unity. 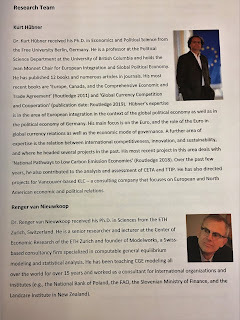 It examined three possible scenarios: a hard Brexit in which the North and Britain leaves the EU single market and customs union; the North remaining in the single market and customs union and Irish unity. The report – ‘The Costs of Non-Unification: Brexit and the Unification of Ireland’ – warned that Brexit could cost the island of Ireland €42.5 billion over seven years. In a hard Brexit the North would lose €10.1 billion. Even with a so-called soft Brexit, in which the North remains within the single market and customs union, the financial cost to the six counties would be enormous at €3.8 billion. 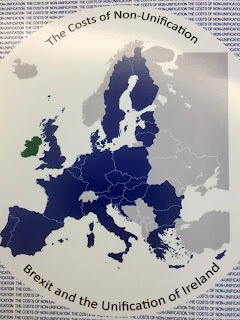 The 62-page report concluded that between now and 2025 Irish reunification could benefit the North by almost €18 billion and the South by €5-6 billion. It concludes that unification “is the only option with positive net effects.” It is the only long term, sustainable solution to the decades long crisis created by partition, and the current crisis created by the Brexit. The reality is that Arlene Foster’s ‘precious union’ is a narrow, intolerant place - a cold house for Irish language speakers, women, gay and lesbian citizens and for nationalists and republicans. We need a new union. Tone’s ‘cordial union’ which embraces self-determination and the ideal of a real Republic and which puts the people of the island of Ireland first. Our task as United Irelanders is to organise, mobilise, strategise and make it happen.